Being able to sense the distortions in space-time that occur as a result of cataclysmic events represents a transformative step in the study of the Universe, one that does not depend on sensing electromagnetic radiation in any of its forms - from radio and optical light through to X-rays and gamma rays. Now, as well as trying to "see" far-off events, scientists can also "listen" to those events as they vibrate the very fabric of the cosmos. And immediately this approach is telling researchers new things. One simple discovery is the recognition of a totally new class of black holes. Before LIGO's discoveries, orbiting pairs of these objects, some of 25 solar masses and greater, were completely unknown. "In two years, we've gone from not knowing these systems existed to being really confident there's a whole population of them out there," commented Sheila Rowan, a collaboration team member from Glasgow University, UK. 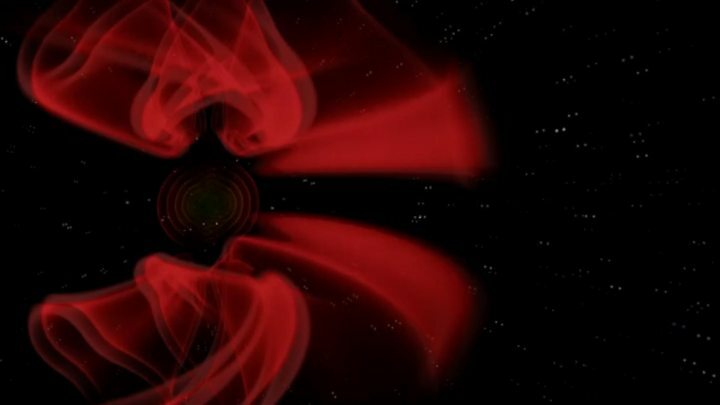 "And it's all consistent with gravitational waves from one of these systems passing through us about once every 15 minutes, from somewhere in the Universe," she told BBC News. The quest for the future is to get LIGO to sensitivities where more of these events can be detected. "In that first case, we would expect that the spins would stay aligned," said Laura Cadonati, the collaboration's deputy spokesperson. "So, we have found a new tile to put in the puzzle of understanding formation mechanisms." 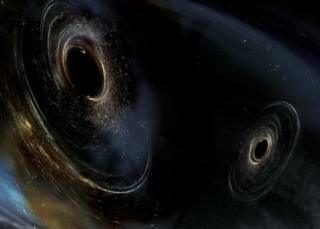 In addition, gravitational wave astronomy permits new tests of Einstein's theories. Because of the greater distance to this merger (twice the distance to the 2015 events), researchers could more easily look for an effect called "dispersion". For light, this describes how electromagnetic radiation of different frequencies will travel at different speeds through a physical medium - to produce a rainbow in a glass prism, for example. Einstein's general theory of relativity forbids any dispersion from happening in gravitational waves as they move out from their source through space towards Earth. "Our measurements are really very sensitive to minute differences in the speeds of different frequencies but we did not discover any dispersion, once again failing to prove that Einstein was wrong," explained Bangalore Sathyaprakash, a LIGO team member from Penn State, US, and Cardiff University, UK. The German physicist and computer expert built one of the first laser interferometers - the instruments now used to detect gravitational waves. His early work is credited with making crucial contributions to the development of the eventual LIGO systems. "His group started in about 1975, just before we did it here in Glasgow," recalled LIGO collaborator Jim Hough. "They were following the idea that the American Rai Weiss had had of using multiple beam delay lines, and of course the German detector was absolutely superb. They did fabulous work that has continued in Germany to this day."